MADISON BIKE BLOG: HOW DANGEROUS IS BICYCLING? Most of us grow up riding bikes and many even go on to race them. After spending significant time on a bicycle, it becomes comfortable and it's easy to lose sight of how dangerous it can be to ride. With the increase in the number of people bicycling in Wisconsin and the current state of affairs between drivers of cars and bicyclists, those who ride bicycles in Wisconsin should always be alert and cognizant of the fact that drivers often will not see you and often will not move over for you or may even take steps that increase the liklihood of a collision. Fortunately there are many wonderful trails in areas such as La Crosse, Eau Claire, Madison, Milwaukee, Sheboygan, Green Bay, Door County and many other places. Although riding a trail makes it less likely you will get hit by a car, there are still many hazards and dangers. However, it is clear that riding rodes is more dangerous. 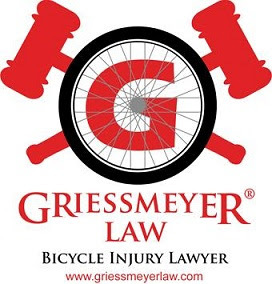 In a recent study by Rutgers University, it was determined that bicylists are 12 times more likely to suffer a fatal accident than motorists. The same study determined that traveling by foot is 23 times more dangerous than driving. For full results see: http://www.vtpi.org/AJPHpucher.pdf. Keep in mind however that other studies including a recent Danish Study determined that those who don't bike to work suffer a 39% higher mortality rate than the bikers do. Most importantly, past studies have shown that when there are larger numbers of bikers on the roads, the roads are safer for the bicyclists. This is believed to be from a change in motorist behavior attributed to the large number of bicyclists on the road.